Fire losses are often the most devastating occurrences that can happen to a family or business. These events may require short-term decisions from individuals that are under a tremendous amount of stress and confusion, which can have long lasting consequences. The public adjusters at ALL– LINES Public Adjusters in Miami, FL can make your insurance go to work for you by applying our process of practical and professional experience to your fire loss. 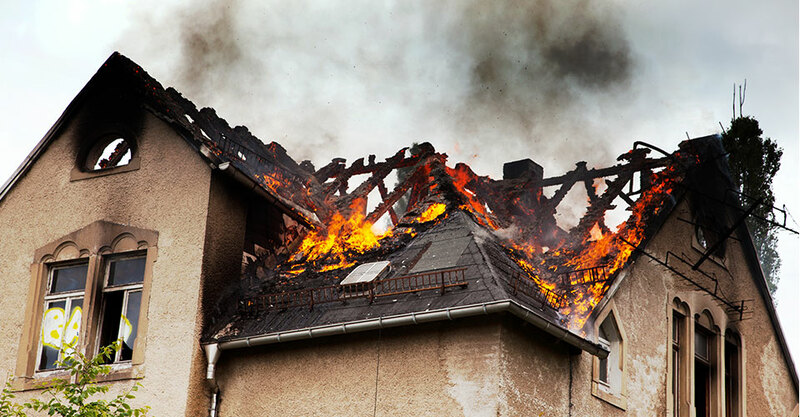 We have the knowledge and expertise to help you negotiate the complicated process required by your insurance carrier to get your fire claim paid in a fair and honest manner to all parties involved. It must be determined to what degree the structure is damaged and how badly your personal or business property is affected. Are these items and components repairable or are they a total loss? It makes no economic sense to spend limited resources on repairs to items which will only be replaced in the end. This is one area where disputes commonly occur between the insured and the policyholder. One of the most common and potentially costly mistakes we see policyholders make is to sign authorization forms from “disaster restoration” firms which give these firms authorization to remove or attempt to repair items that may in fact be a total loss. This cost will be subtracted from the policy limits that may be needed to pay for items that are clearly a total loss. Be sure to take some time to consult with ALL-LINES Public Adjusters before signing blank authorization forms. Let the professional public adjusters at ALL– LINES Public Adjusters determine what experts such as structural engineers, appliance and electronics technicians, and cleaning and restoration specialists should be used in formulating a comprehensive plan to return your property to its pre-loss condition. These forms are also used to “spike the job” and may in fact give rise to liens on the property months later should the policyholder and carrier disagree on the claim. In Florida be aware of “notice to owner” filings as the contractor has started the process to protect his lien rights. Additionally, numerous law and ordinance issues often arise in these claims. Once a preliminary evaluation has been made of your loss, we can guide, assist and advise you as to the best way to proceed towards the resolution of your claim against the insurance company. How much does it cost me? A: There are no upfront costs. ALL-Lines Public Adjusters only collects when you get paid.